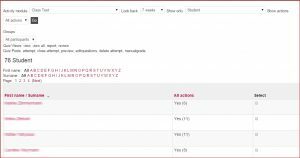 Axiomatic but all activities that generate a grade are reported to the Gradebook and act as a primary mechanism for recording student grades and presenting them to students via their User Report. But alongside these we also have Logs. 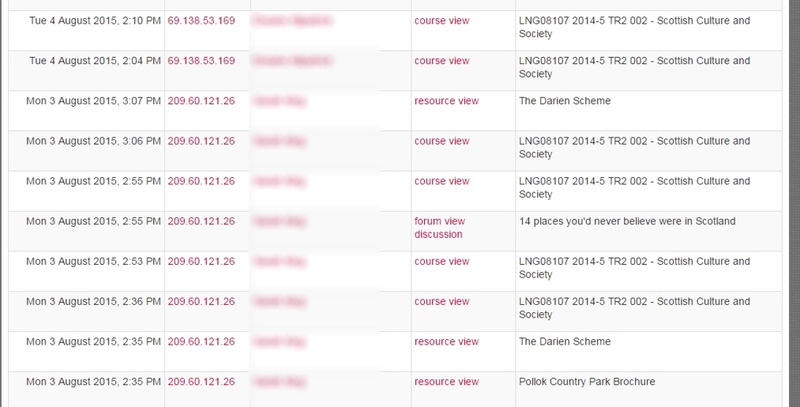 Activity Reports are different from the logs & live logs and work at a course level. simple information on number of views. Would this report offer much information that can be used to help students? 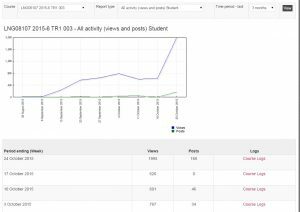 The Course Participation report as name suggests this allows tutors to generate Course based report on each activity or resource within the course up to a period of 1 year. 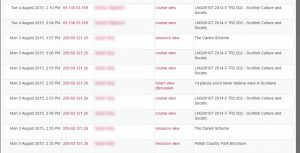 The report can be filtered by Groups and tutors can select students to message directly from the report. Statistics are connected to the Course Logs and can offer a broad strokes overview. We can generally see a peaks in the graphs around assessment points! Once we look outside the standard reports the options require tutors to link interaction with specific learning objectives or activities. One of the most useful perhaps is Activity Completion Tracking. 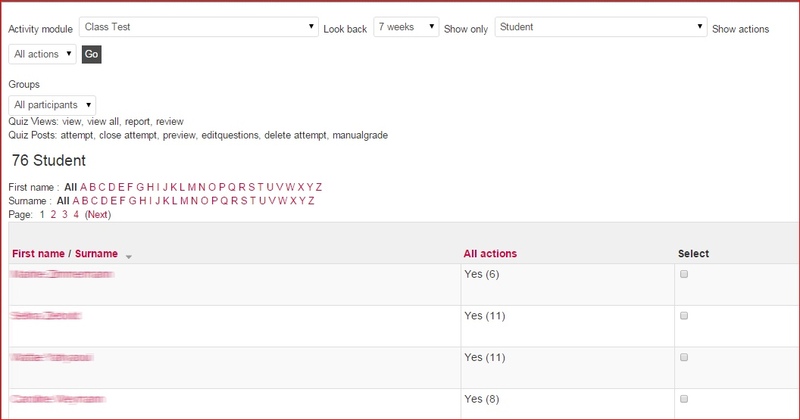 We first have to enable Completion Tracking in the course settings, once this has been enabled students can tick each box as a reminder to themselves or Activity Completion conditions can be attached by tutors to any or all resources and activities. 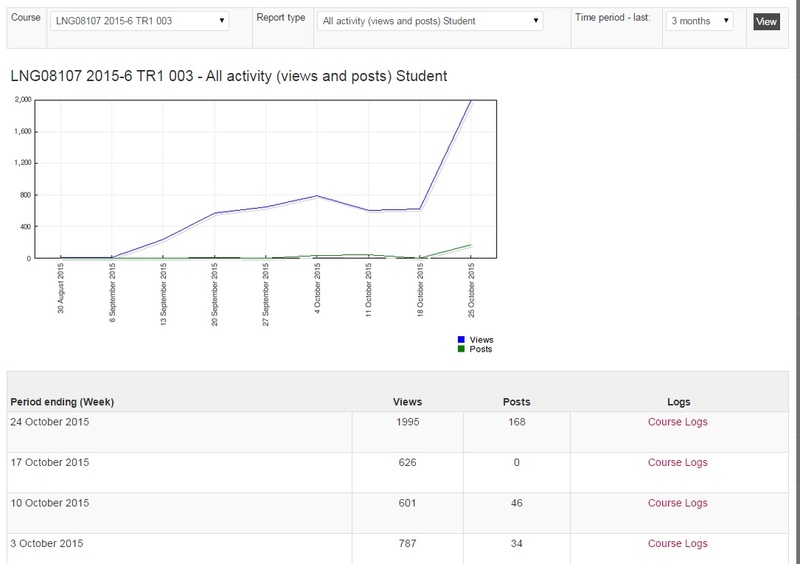 This allows tutors to ‘front-load’ course management and ensure students view/access all materials rather than skipping to assessment criteria. –Imagine ABC where we want the student to read the coursework & do the quiz until they reach certain grade before they can submit the assignment. Once conditions (view, receive grade, passed etc) have been met for A, B becomes available and so on. 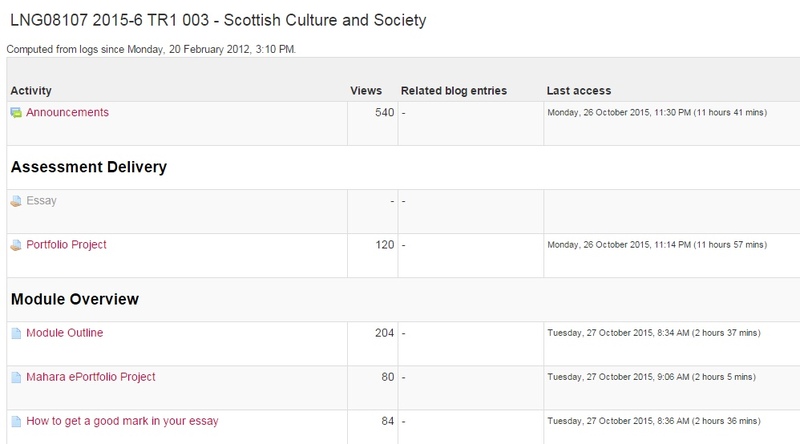 This is reflected both on course page with Checkbox visible to students and within a Report for tutors. This report gives a quick graphical summary of completion status and can be downloaded as Excel file.